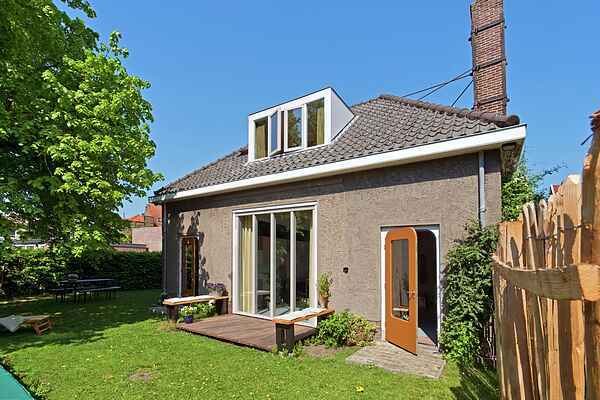 Your holiday home is located in the centre of the North Holland town of Schagen; behind the owner's mansion you'll find an oasis of of calm (with a south-facing garden), in which you can enjoy spending time with your loved ones close to the city attractions. This house is ideal for gourmets - there is an AGA Cooker, perfect for cooking wonderful meals. A cosy living and dining room can be found on the ground floor, where the first bedroom and ensuite bathroom can also be found. Two further bedrooms on the first floor can be reached by the real eye-catcher of the house: the staircase. A second double bed can be provided upon request. The incredible pixel artwork on the wall and the climbing rope make this house something really special. Schagen is a pleasant city with a cultural centre, housing a library, the theatre and the cinema. There are plenty of fun places to visit, along with nice restaurants with terraces. During the summer there's a West Frisian market in the centre every Thursday, a really nice idea for a day out. It's a 10-minute drive from your holiday home to Callantsoog beach.